The launch of Lithuania’s new LNG Terminal Independence in Klaipėda is cause for celebration as a victory over Russian gas dominance. as well as neighbouring Latvia and Estonia. However, another Lithuanian energy sector dilemma remains unresolved despite efforts of the European Commission and Vilnius and Warsaw – the Russian eight year long oil ‘embargo’ against the Lithuanian oil refinery Orlen Lietuva (Mažeikių Nafta). Over the past summer the Lithuanian and Polish media offered various speculations on Lithuanian oil refinery Orlen Lietuva (Mažeikių Nafta) future scenarios including the possibility of a sale. The unprofitable refinery, owned by the Polish PKN Orlen, has not received oil via the Russian Druzhba pipeline since 2006 and therefore must rely on more expensive transportation options. 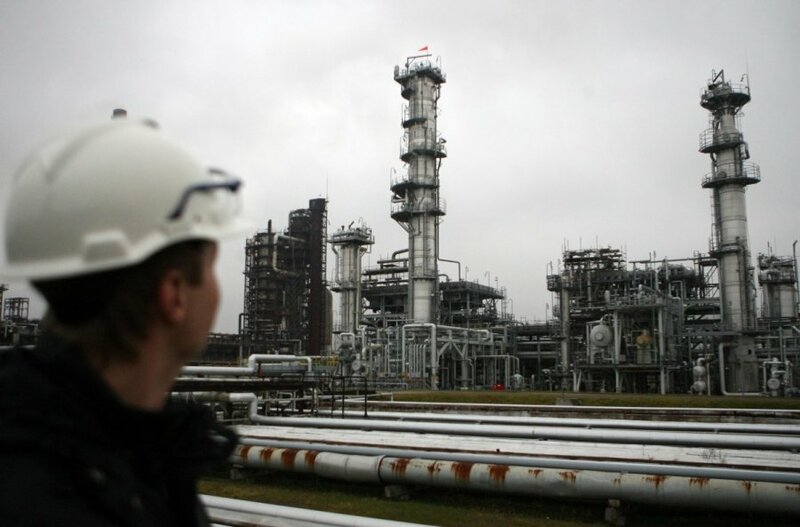 The potential sale of Orlen Lietuva brings up the same dilemma for both prospective investors, the refinery, and the Lithuanian government – a sale to a Western rather than a Russian investor would most likely mean a continuous oil ‘embargo’ via Druzhba. The refinery’s economic difficulties started in June 2006 when PKN Orlen, rather than contending Russian investors, acquired the refinery. Many have correctly perceived the 8-year oil embargo as Moscow’s political vendetta against Vilnius. Nonetheless, the complete picture is more complex. There are structural, strategic, and economic reasons why Orlen oil refinery is unlikely to ever receive Russian oil via the Druzhba pipeline. Since the early 2000s, Russia had been pursuing a strategy of eliminating and bypassing transit states (particularly perceived uncooperative transit states such as the Baltic states) from its oil export flows westwards to European markets. Instead, Russia’s exports relied on Russian terminals, ports and pipelines rather than those of transit states such as Lithuania. Russia’s motives were at least partially commercial – it sought control of the infrastructure used for its main national exports, in order to ensure that reasonable tariff policies were in place and that reliable maintenance and exploitation of the networks could be achieved. Moscow’s policy was enabled by Russia’s own improved energy export infrastructure. The late 1990s and early 2000s were a time when Russia launched a number of oil terminals on the Baltic Sea. The Russian port of Primorsk started operating its first oil terminal in December 2001 (completed the second terminal in 2008) and increased its capacity from 12 to 80 million tonnes in the period of 2001 to 2012. In the Russian port of Ust-Luga (completed in 2001) an oil terminal was launched in March 2012, while another Russian Baltic Sea port of Vysotsk launched the first oil terminal line in 2004, the second in 2005, and the third in 2006. Russia also built up new pipeline infrastructure. Russia’s Transneft invested in the new Baltic Pipeline System (BPS), for carrying crude oil by a branch of the Druzhba pipeline to Primorsk in Russia (rather than to Lithuania and Latvia). BPS was launched in 2001 and it reached its full operational capacity in April 2006. Both BPS and Primorsk were in operation in 2006 and since then they have effectively eliminated the need for Lithuania’s Būtingė and Latvia’s Ventspils Nafta oil terminals for the Russian energy export business. As a result, when Mažeikių Nafta (as Orlen Lietuva was previously known) was acquired by PKN Orlen in 2006, Transneft re-routed oil flows to BPS and to Primorsk, rather than piping crude oil to Orlen Lietuva for refinement. Moreover, in May 2007 the Russian government approved an expansion of the BPS – the Baltic Pipeline System-2, (BPS-2) which was completed in 2011 and became functional in 2012. Under these new conditions in effect since the early 2000s, Russia was increasingly able to divert energy flows away from transit states. Therefore, in the first decade of the new millennium, permanent cuts of oil transit via the Baltic states became ever more logistically and commercially feasible for Moscow. Another case in point is Latvia’s Ventspils Nafta. Throughout the 1990s until the opening of Primorsk, Ventspils Nafta operated as the second largest exporting terminal of Russian oil, and the largest exporter outside Russian territory. In 2002, Russia’s Transneft and oil company LUKOIL expressed interest in acquiring Venstpils Nafta. Following lengthy talks and negotiations, the Latvian state and private owners of Ventspils Nafta rejected the purchase offer from Russian buyers. Consequently, in 2002, Transneft halted the oil supply to Ventspils Nafta on numerous occasions and by 2003 terminated it permanently. Estonia has also experienced reduced supply of oil and oil products via rail deliveries. In spring of 2007 Estonia experienced a sharp decrease in oil supply via railways following political tensions with Moscow over a Soviet war memorial. By 2012 oil transit by rails via Estonia fell again practically by half when the Russian port in Ust-Luga became operational, and Estonian ports became even more superfluous to Russia’s oil exports. It is clear that Russia’s new infrastructure is successfully eliminating the Baltic states from the oil transit business. To expect that improved political relations between Vilnius and Moscow would re-start oil flows to Orlen Lietuva would be naïve. Russia has invested too much in its own energy infrastructure. Likewise, it would be unrealistic to expect that Orlen Lietuva, which was originally built to receive Russian oil via the Druzhba pipeline, would be able to operate as efficiently while shipping and railing-in oil. 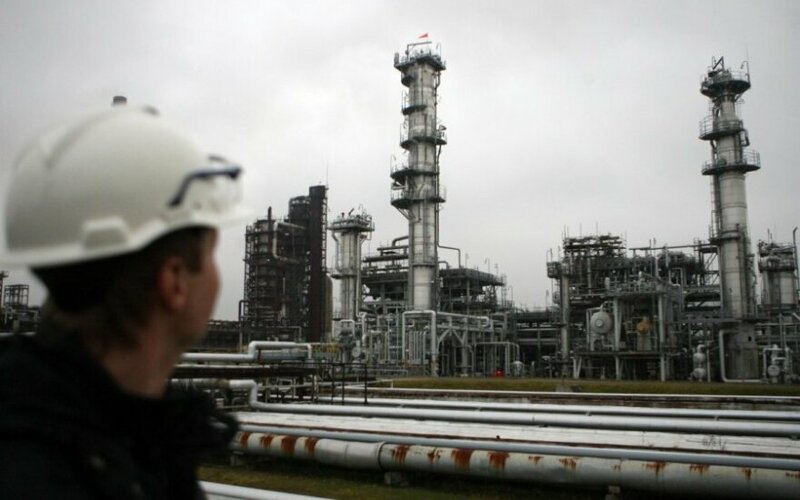 Therefore, if PKN Orlen would decide to sell the Lithuanian refinery, most likely only a Russian investor, or an investor benefiting from a close relationship with Russian oil companies and the Russian state-owned pipeline operator Transneft, could change the status-quo and resume oil flow via the Druzhba pipeline. But the current tensions between Vladimir Putin’s regime and the West make a Russian investor to Orlen Lietuva an understandably a worrisome prospect for the Lithuanian government. For PKN Orlen, selling the Lithuanian refinery and enabling an entry of a new player would mean more competition in their already competitive market. Sabina Karmazinaite contributed to reporting for this article from Vilnius. Agnia Grigas (Ph.D, University of Oxford) is the author of ‘The Politics of Energy and Memory between the Baltic States and Russia’ (Ashgate 2013) and a forthcoming book on Russian compatriots (Yale University Press 2015). Learn more: www.grigas.net.